Italian Culture Minister Alberto Bonisoli announced in a press conference that Italy will end the Domenica al Museo (“Sunday at the Museum”) program, no longer offering free admission to state museums as of this fall. Currently, approximately 480 state museums are free to everyone on the first Sunday of the month. 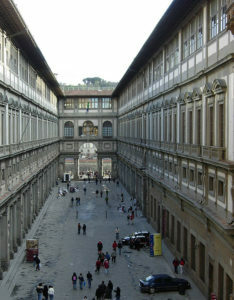 The change will affect popular sites such as Pompeii Archaeological Park in Naples, the Colosseum and the Vatican Museums in Rome, and the Uffizi Gallery in Florence. Former Culture Minister Dario Franceschini launched the program in summer 2014, but encouraged Bonsoli, his successor, to rethink it. Bonsoli said the move was an effort to avoid “undervaluing our sites” and the crowds created by tourists who swarm the museums on the free days. In 2017, 3.5 million visitors took advantage of the free admission. He said he spoke with museum directors and many approved of the plan. Museums can offer free admission whenever they choose: for example, for the past few years state museums have offered free admission to women on International Women’s Day in March.